Ted Peters is Research Professor Emeritus in Systematic Theology and Ethics at Pacific Lutheran Theological Seminary (PLTS) and the Graduate Theological Union (GTU). He co-edits the journal, Theology and Science, at the Center for Theology and the Natural Sciences (CTNS). He is author of Playing God? Genetic Determinism and Human Freedom (Routledge, 2nd ed., 2003) and God in Cosmic History: Where Science and History Meet Religion (Anselm Academic, 2017). He is co-author of Can You Believe in God and Evolution (Abingdon, 2006) and Sacred Cells? Why Christians Should Support Stem Cell Research (Roman and Littlefield, 2008). This past year he published an edited volume, Astrotheology: Science and Theology Meet Extraterrestrial Life (Cascade, 2018). He holds a B.A. degree from Michigan State University, the MDiv degree from Trinity Lutheran Seminary, and the M.A. and PhD from the Divinity School at the University of Chicago. Arvin Gouw is the vice president for research and development at the Rare Genomics Institute (RG), where he oversees the Rare Genomics Task Force (RGTF) and the BeHEARD Challenge (Help Empower & Accelerate Research Discoveries), which provide grants globally to rare disease researchers, foundations, and patient families. In collaboration with biotech and pharma, his programs have provided various resources, including CRISPR and other genetic mouse models, that have led to the development of novel drugs for rare diseases. Dr. Gouw is also a research fellow in Oncology at Stanford University School of Medicine and affiliate scientist at UC Berkeley/LBNL, developing cancer drugs and drug screening platforms. His work has led to the filing of over half a dozen patents for novel cancer diagnostics and therapeutics and has received support and funding from Stanford, Berkeley, the National Science Foundation (NSF), and the National Institutes of Health (NIH) Cancer Nanotechnology program. Dr. Gouw did his fellowship on science and religion at Princeton. He has a Ph.D. from Johns Hopkins University School of Medicine, M.Phil. in philosophy from the University of Pennsylvania, M.A. in theology from St. Mary’s Seminary and University Ecumenical Institute of Theology, and M.A. in endocrinology and B.A. in molecular cell biology – neurobiology from UC Berkeley. Michael Ruse has been teaching at Florida State University since 2000, holding the position Lucyle T. Werkmeister Professor of Philosophy and the Director of the Program in the History and Philosophy of Science. He took his B.A. in Philosophy and Mathematics at the University of Bristol, his M.A. in Philosophy at McMaster University, and his PhD in Philosophy at University of Bristol in 1970. For thirty years he served on the Faculty at the University of Guelph, teaching History, Philosophy, and Zoology, being named Professor Emeritus in 2018. Founding editor of the journal Biology and Philosophy, he is the author or editor of over fifty books. K. N. Siva Subramanian, M.D. has served since 1993 as Professor of Pediatrics & Obstetrics/Gynecology, at the Georgetown University Medical Center in Washington DC. 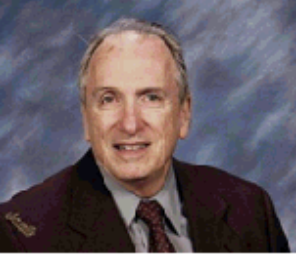 He holds lifetime Board certifications in Pediatrics and in Neonatal-Perinatal Medicine. He earned his B.Sc. and the M.D. at Madras University, India, and currently, at Georgetown he serves as Director of Nurseries and Chief of Neonatology. He is Chairman, Pediatric Ethics Committee, Senior Ethicist and Chairman, Hospital Committee on Medical Ethics, and a member of the Pediatric Faculty Advisory Group. Dr. Subramanian has authored more than 200 academic studies in refereed medical journals, as well as several monographs and textbooks. Arthur Sutherland, who holds advanced degrees from Yale University Divinity School and Princeton Theological Seminary, is an associate professor of theology. Dr. Sutherland conducted research in Germany and Switzerland for his dissertation on Karl Barth and has received fellowships from the Fund for Theological Education, the Association for Religion and Intellectual Life, the Christian Scholars Fund, and the Wabash Center for the Teaching of Theology and Religion. 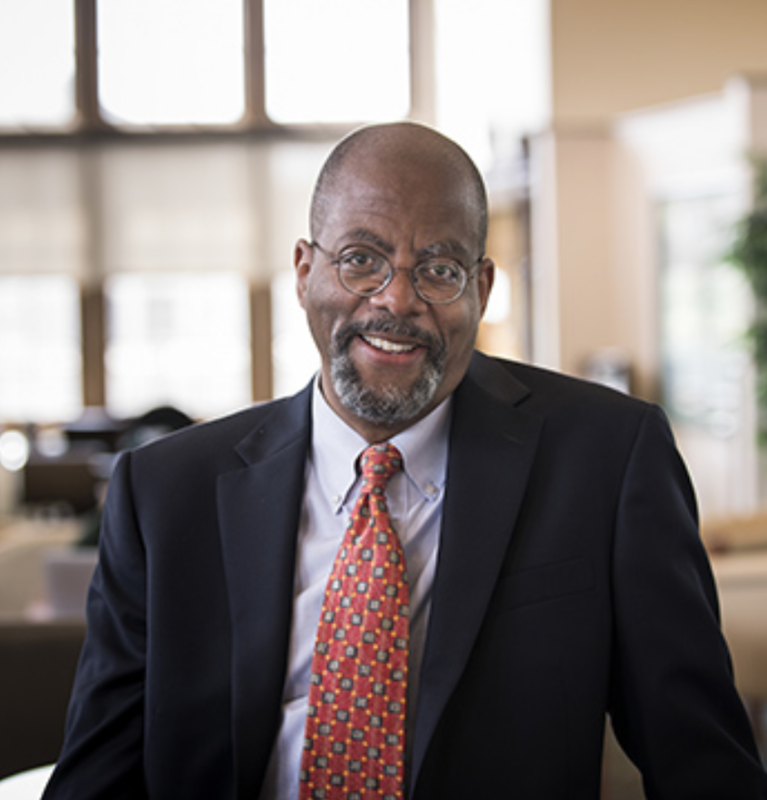 His research interests are in the history of Christian doctrine, African-American theology, and the spirituality of generosity. His book, I Was a Stranger: A Theology of Christian Hospitality, which addresses immigration, exile, and violence, was nominated for the Grawemeyer Award for Religion. As Loyola's director of national fellowships from 2007-2016, he helped students win nearly 40 prestigious academic awards including scholarships from Fulbright, Goldwater, Gilman, Critical Languages, Lilly, and the German Academic Exchange Service (DAAD). He founded the Ignatian Pedagogy Seminar for Loyola's faculty, is a member of the Messina faculty, taught in the Alpha program for 12 years, and in the Honors program since 2003. Lisa Fullam joined the faculty of the Jesuit School of Theology at Santa Clara University in August 2003. As Professor of Moral Theology, she teaches courses such as Fundamental Moral Theology, Sexual Ethics, Luther and Ignatius: Conversations Ethics, and Spirituality of Pastoral Ministry, and Issues in Virtue Ethics. She received her baccalaureate and D.V.M. degrees from Cornell University, and earned her M.T.S. and Th.D. at the Harvard Divinity School. Dr. Fullam's research interests include virtue ethics, Thomas Aquinas, biomedical ethics, Ignatian spirituality, and the relationship of spirituality and ethics. She is also accredited as a faculty member at the Graduate Theological Union in Berkeley. Among her publications is the monograph Curiosity and Skepticism: Virtues for Genomics. Popular as a speaker, her recent engagements include Quincy University and the University of Massachusetts, Lowell. Connie Bertka, Independent Scholar and Consultant, Science and Society Resources LLC, and Adjunct Professor, Wesley Theological Seminary, also serves as Co-Chair, Broader Social Impacts Committee, Smithsonian’s National Museum of Natural History’s Human Origins Program in Washington, DC. Completing her baccalaireate in Geology at the University of Cincinnati, Connie was offered an internship at the Lunar and Planetary Institute in Houston where she worked with the curator of the lunar rock collection. That experience ignited a passion for viewing Earth as one piece of a larger cosmic puzzle. Her graduate career began at Arizona State University with a NASA Graduate Student Researcher Fellowship and then gained a Pre-doctoral Fellowship at the Geophysical Laboratory of the Carnegie Institution of Washington. After receiving her Ph.D. from Arizona State University in 1991, and while at the Carnegie Institution in Washington, Connie began taking courses at Wesley Theological Seminary to pursue a scholarly and pragmatic interest in the relationships between science and religion, especially their influence on public understanding of science. In 2000 she joined the American Association for the Advancement of Science’s Program of Dialogue on Science, Ethics and Religion and was Program Director until 2008. She completed a Master of Theological Studies at Wesley in 2006. One effort she led at AAAS was a multi-year workshop series to encourage the exchange of ideas between astrobiology scientists, and humanities scholars. She is the editor of a volume resulting from that work, Exploring the Origin, Extent, and Future of Life: Philosophical, Ethical and Theological Perspectives (Cambridge University Press 2009). Currently Connie’s work is focused on science education and public engagement; she is the lead author on the Human Origins Program’s Cultural and Religious Sensitivity Teaching Strategies Resource (2015) and part of the team facilitating public programming for the Smithsonian’s traveling exhibit, Exploring Human Origins: What Does It Mean to Be Human? Since 2008 she has taught a course on Contemporary Issues in Science and Religion at Wesley Theological Seminary. Connie lives in Rockville ,Maryland and is a member of the Unitarian Universalist Congregation of Rockville. Convinced that a simple bike ride can be a force for good in the world, Connie volunteers with a local bicycle advocacy group and is a founding board member of a community bike shop, the Rockville Bike Hub. E. Maynard Moore currently serves as President of the Board of Directors for WesleyNexus, and has been a member of IRAS since 2007, presenting workshops in six subsequent IRAS conferences. He is a member of the American Scientific Affiliation, the Wesleyan Theological Society, and regularly participates in DoSER programs of the American Association for the Advancement of Science,.Moore received academic degrees at Randolph-Macon College in Virginia, Perkins School of Theology, Southern Methodist University, the University of Chicago, and a PhD in Adult/Continuing Education at Union Institute & University in Ohio. He served on the administration and as faculty at The American University in Washington DC, Chicago State University, Columbia College in Chicago, and has authored two dozen articles, reviews and chapters in books.